How can Rosenfeld Injury Lawyers LLC Help With my Illinois Railroad Accident Claim? EXPERIENCE . We have represented similar train accident victims and will put all of that skill and knowledge to use in your case. RESOURCES . We will invest all resources necessary to win your case. You do not have to pay a dime for our services or any expenses unless we are successful in obtaining an award for you. ACCESS . We will make attorneys available throughout the duration of your case at all times of the day to address all of your questions, concerns, and comments. 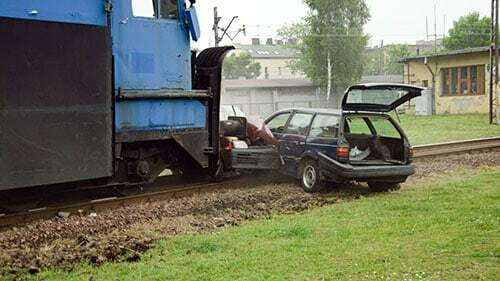 It is important to remember the steps that you can take to protect your own recovery after a train accident. The first thing-and the most critical thing- is to hire a capable and committed firm to build a case for court. After that, it should be your mission to check on its progress and convey your thoughts and questions regarding the incident. They need your help just as much as you need theirs. However, remember that all communications should go through your firm. Avoid talking to the others involved in the accident or their representatives. This can drastically and negatively affect your recovery. Finally, try and organize all of your expenses related to the incident as well as financial affairs before the incident so that it will be easier for your counsel to make a case at court. Their job will be to show how the train accident harmed you and it's easier if you have these things organized and ready to go! If you have been involved in a truck accident, call our offices. We can immediately take the steps needed to ensure that you can bring a case in the future to secure the recovery that you are entitled to under Illinois law. Plus, we can even help you bring that suit on contingency so that you won't have to spend a penny unless you're satisfied with the results. Don't delay. Call now!